Locality: United States, Florida, Marion, United States: Florida: Marion County. Silver Springs: Silver River State Park. Cultivated by cabins (cabin #5). Shrub 2m tall, flowers white. Lat. 29°11.917'N Long. 082°01.929'W Datum: WGS 84. 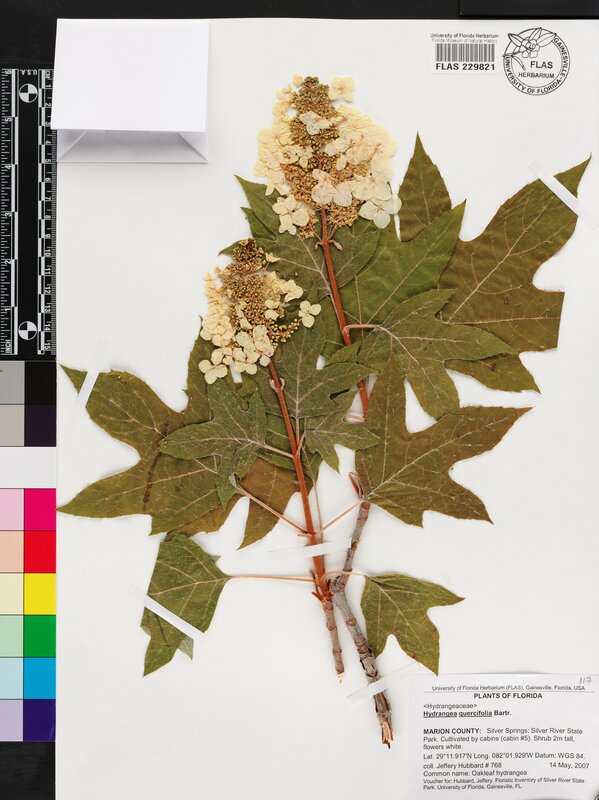 Notes: [Common name:] Oakleaf hydrangea --[Label note:] Voucher for: Hubbard, Jeffery. Floristic Inventory of Silver River State Park. University of Florida, Gainesville, FL.